You are currently browsing the tag archive for the ‘Kojima’ tag. This is hard for me. Very hard. Excruciatingly hard. To narrow my favorite games of ALL time into a list of five? Almost impossible. There are so many spectacular games that I play every year; to narrow them down to such a tiny number is almost as hard as throwing a soccer ball through a field-fence-goal-thing from 200 leagues away in the next state over the heads of 27 armed guards. This is the start of a five part, hopefully weekly series of me trying to narrow down my top five games of all time. I will link the previous blog in each new post so those who missed it the first time can go back and look. 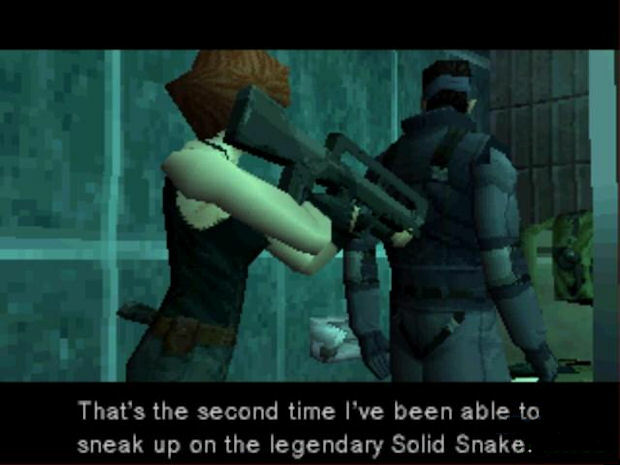 To start, I chose the GCN version because it is more than just a port of the original Metal Gear Solid on the PS1; it’s an entirely remade game. Better voice actors, better graphics, better gun handling (and this is a very important part). It was an all around better game. That’s not to say that I do not enjoy the original, but it’s mostly nostalgia. The game. The story is what drew me in, in the first place. Without it, the game would feel like another ripped off spy story right out of James Bond, and would lose most of it’s appeal for almost everyone who plays it. People don’t come to Metal Gear Solid for incredible gameplay (though they get it), they come to Metal Gear Solid to be indulged into a intense and deep plot, that, even after the main story arch has ended, still leaves a little quack of questions unanswered. 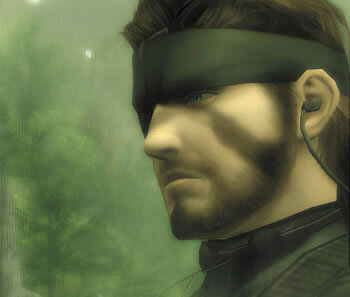 Metal Gear Solid has about a 1:2 ratio; that is, 1 hour of cut-scenes for every two hours of game-play. It’s more like a movie that lets you decide what is going to happen. As the series progressed, the length of the cut-scenes gets deadly close to the length of the game-play, but fans don’t care; they enjoy the story just as much as the game-play. And as for the game play, you aren’t going to get a game that actually let’s you play through it in it’s entirety killing minimal enemies. You’re given a dart sleeper gun, and if you so desire, you can sneak your way through the entire game and not kill a single soul (though most will find that killing a random enemy as he tries to pee is just too good to pass up). The game-play isn’t all that intuitive, but it’s presented in a brand new package; what other game has a “psychic” enemy read your saved games on your memory card and call them out to you as a trick? That genuinely freaked me out. Kojima is a master of story telling through game-play, not only in cut-scenes. If he wrote a book, I’d be over 2000 pages and have 17 1/2 sequels, all of which would be a total blast to read. 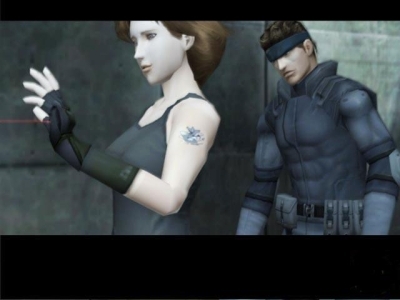 Metal Gear Solid DOES. NOT. GET. OLD. You find something new in every play-through, especially if you space the play-throughs by about half a year to a year. I’m sure, even after countless play-throughs and all these years I’m missing pieces of the major, grand scheme that Kojima had planned for us. I’m sure there are some buried too deep that no-one will ever find them; it’s just what Kojima wants. The game has relatable and believable characters, has a grade “A” book/movie like story, spectacular game-play and above all, it’s just plain fun to beat over and over again, finding new ways to do things and new ways to kill old enemies. That’s why it’s my number five favorite game of all time.